The celebrated host of MSNBC's The Last Word presents an account of the 1968 presidential election to evaluate its lasting influence on American politics and the Democratic party, exploring the pivotal roles of RFK and McCarthy, two high-profile assassinations and the Chicago riots. 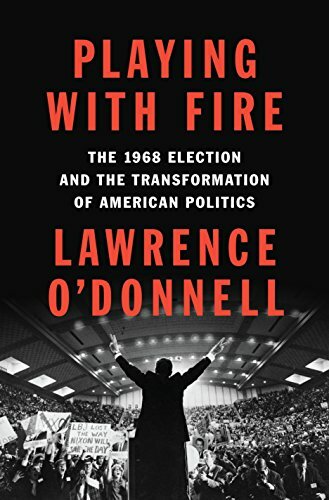 This is a mixture of historical political events from the 1968 presidential election and Author O’Donnell’s personal recollections of events that occurred. He covers the key figures from the period, assassinations, violence at the Democratic convention in Chicago, and Vietnam War. Irregular subject organization and mixed tenses plays havoc with story pacing. It is an interesting account of the election, but the writing makes it hard to maintain interest at times. There are extensive notes, bibliography, and index.